IT'S NEW.........IT'S DIFFERENT..........IT WORKS !!!! SAVES TIME AND MONEY !!! We met Joe at a home show and were very interested in his Triple J MultiBid concept. 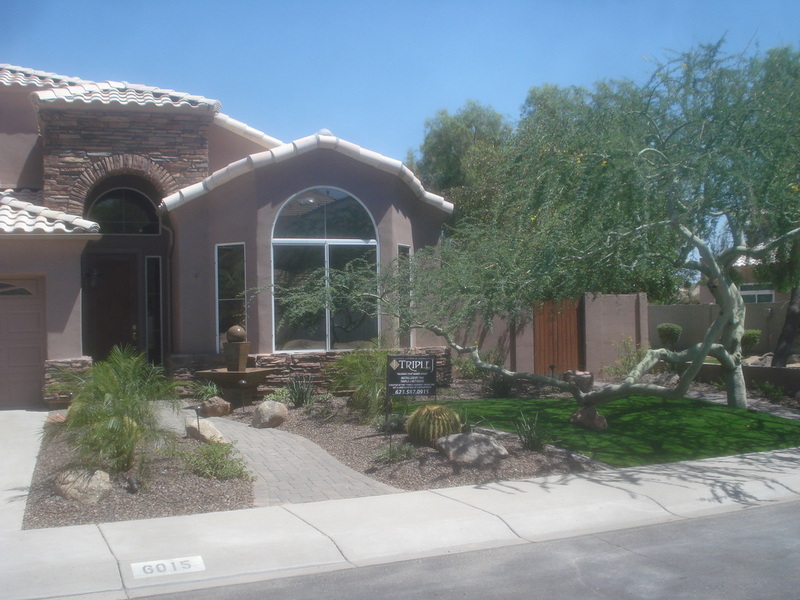 We wanted to find an experienced landscape designer to create our perfect front and back yards, and then we would find a company to bid the work. With Joe's process, all that is accomplished with Triple J.
Joe understood what we wanted and created the perfect design and bid the construction to multiple companies to get the most competitive cost. "The MultiBid is a brilliant idea because we wanted to easily compare competing bids. As promoted we had three competing bids to review. Your ability to have a network of companies provide “apple to apple” comparisons made the final selection very easy. Also, having a network available we were able to secure real dollar savings." A.R. Welcome to the Triple J Network !!! Castcade Arizona builds natural rock waterfalls and ponds. They are sized right for most yards. We have installed hundreds of these waterfalls on pools, small clear water ponds, and large koi ponds. Each customer is different, each setting is unique and each install varies. 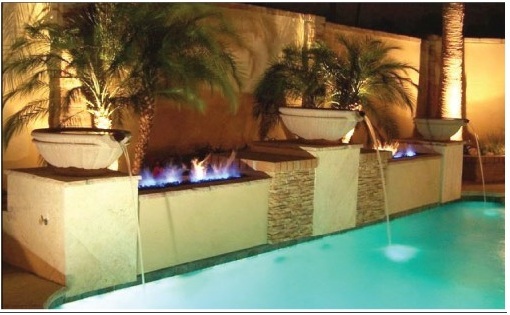 We installed a great many waterfalls before we learned exactly how to give our customers what they wanted in a waterfeature. Together with our customers input we have developed these four keys to an enduring finished product. Beautiful natural rock waterfalls don't just happen. They are not just a pile of rocks with water running over them. They are a combination of both art, engineering and craftsmanship. 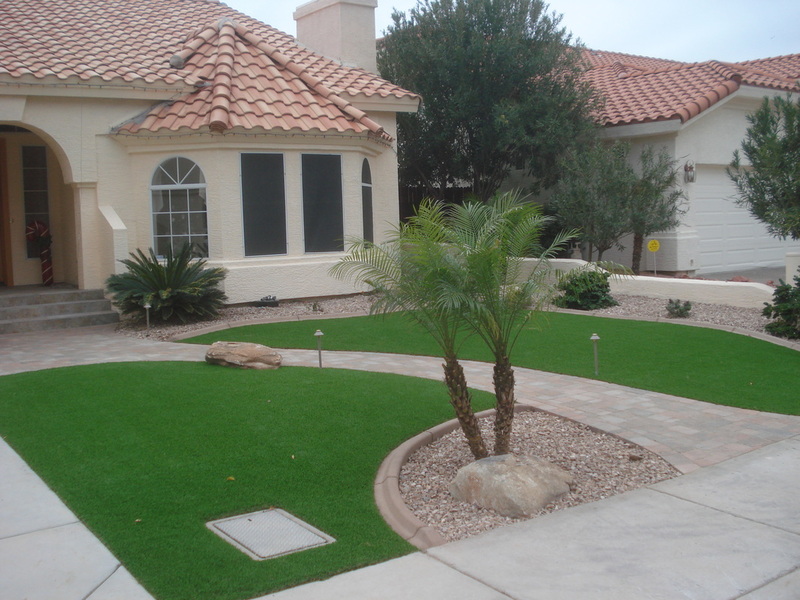 Water flow needs to be planned to look good and sound pleasant in each customers setting and that is what our experience provides. We hand select each boulder based on the desired results obtained from listening carefully to our customers wants and desires and sharing with them our knowledge and experience. We are happy to have Castcade Arizona "The Waterfall Guys" join the Triple J Network. So, if your interested in a natural waterfall to further enhance your front or backyard, please fill out the form at the bottom and submit. Triple J is pleased to have Phoenix Precast Products join the Triple J Network !!!!! 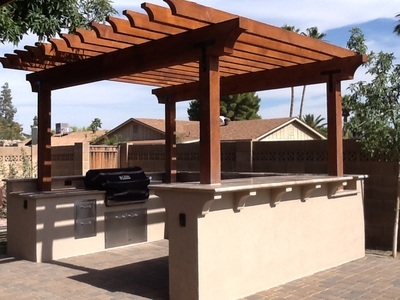 Phoenix Precast Products is Arizona's largest producer of precast planters, and also offers a full line of tables, benches, fountains, statuary and landscape accessories. "Exclusive Triple J Advantage Discount"
Simply click below to request the "Exclusive Triple J Advantage Discount and what your looking for. Let's Start Saving !!! 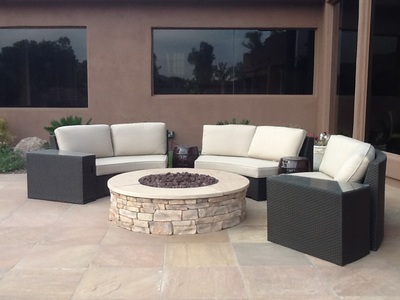 Welcome to Triple J Landscape Designs and Services. saves you time and money !!! The Triple J Network is comprised of contractors and businesses who carry proper licenses, have good standings with the ROC and BBB, reliable, professional, honest, provides quality customer service and workmanship, giving you that peace of mind for your projects investment. 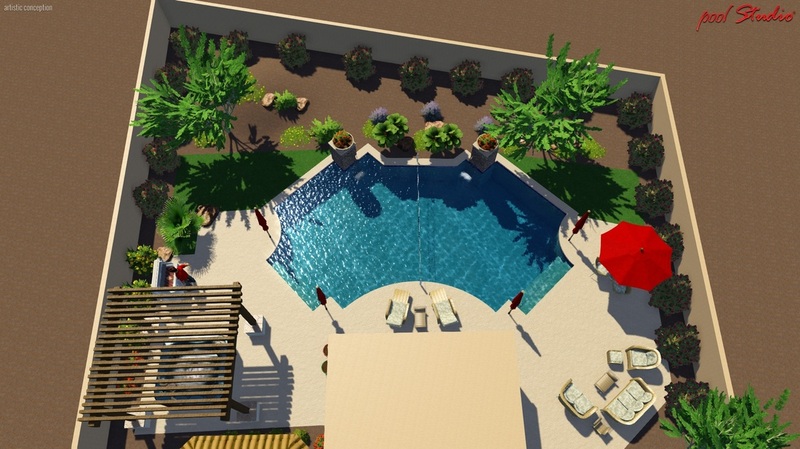 We have designed landscapes and pools in Arizona from basic to the extreme. Our number one goal is to create a "Design that makes sense", and in most cases save you time and money with the Triple J MultiBid or Triple J Direct. Triple J is committed to exhaust ALL of our efforts so you will contract your project with the company you choose in the Triple J Network. We hope you will give us a try. Contact Us Today to get started !! !